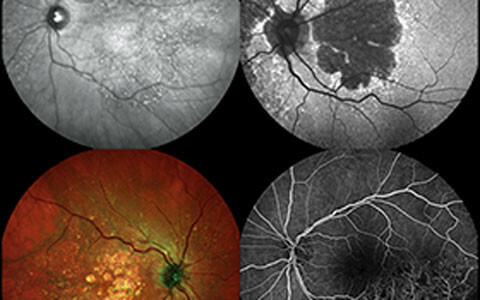 SPECTRALIS® offers a unique combination of established and innovative imaging modalities such as OCT, infrared, fundus autofluorescence, MultiColor, OCT angiography*, fluorescein angiography, ultra-widefield imaging, and more. 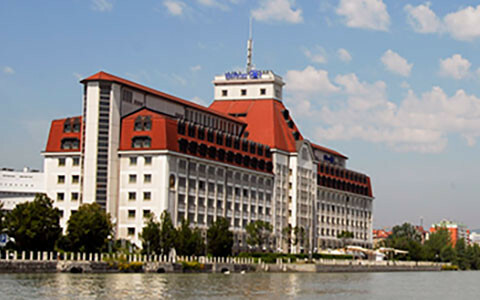 We are pleased to invite you to join our 2nd International Heidelberg Engineering Academy Masterclass during the 18th EURETINA Congress in Vienna. 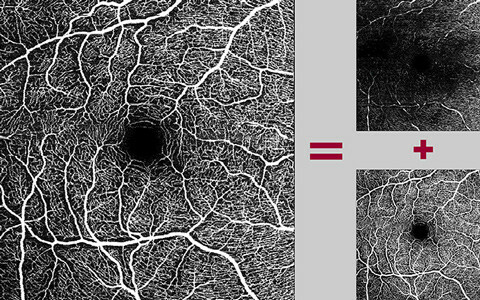 A highly regarded panel of clinicians will discuss OCT Angiography – Technology Matching Pathology. 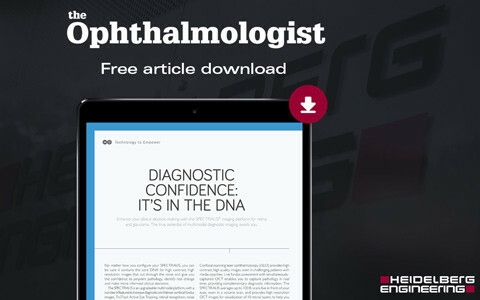 According to a promotional article featured in the Technology to Empower supplement of the July issue of The Ophthalmologist, the SPECTRALIS® imaging platform for retina and glaucoma can help clinicians unlock the true potential of multimodal diagnostic imaging and lead them to a confident diagnosis. 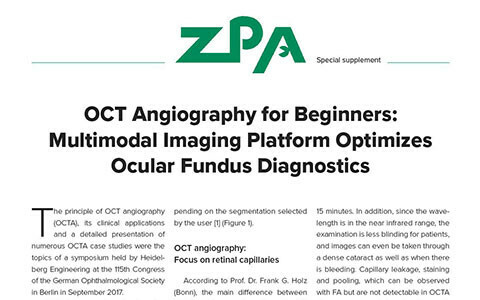 Do you wonder if OCT angiography will actually revolutionize ocular fundus diagnostics in hospitals and practices? 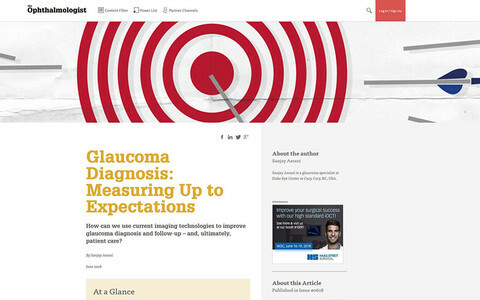 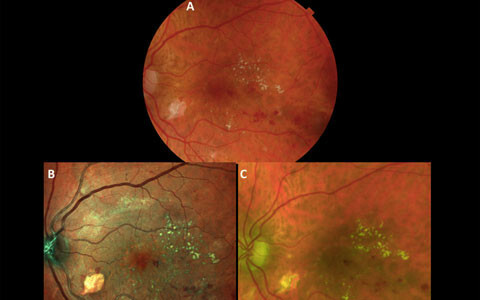 The Ophthalmologist has recently published an article by Dr. Sanjay Asrani describing how current imaging technologies can be used to improve glaucoma diagnosis, follow-up and ultimately patient care. 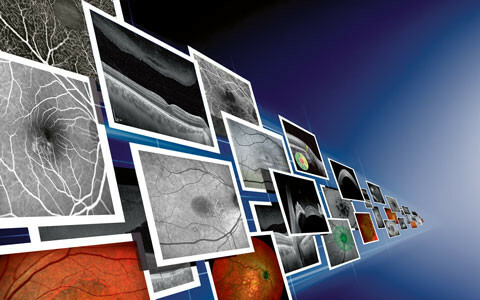 SPECTRALIS® is a truly flexible and upgradeable imaging platform. 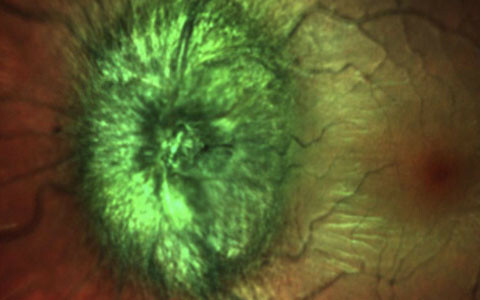 Customize your SPECTRALIS precisely to your individual needs, confident in the knowledge that your OCT will grow with your clinic. 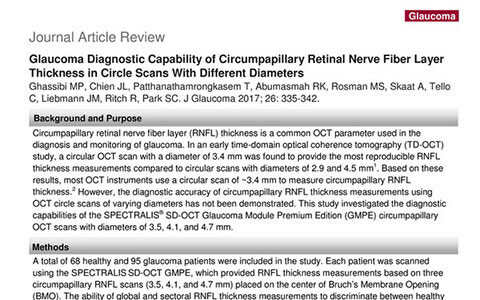 A number of international studies evaluating the sensitivity of SPECTRALIS MultiColor confocal scanning laser ophthalmoscopy versus color fundus photography were presented at the Association for Vision and Research in Ophthalmology (ARVO) 2018 conference in Honolulu, Hawaii.